Last year marked the third-largest growth in the potash industry, but hesitancy from India and China may put things on hold in 2012. However, MGI Securities Analyst Corey Dias still expects to see a lot of positive news coming out of the junior potash space. In an exclusive interview with The Energy Report, Dias specifies which companies he’ll be following for progress. The Energy Report: Total potash demand in 2011 was estimated at 56 million tons (Mt), and the market has traditionally grown at a rate of about 3.5%/year. Do you believe we’ll see a similar increase in 2012? Corey Dias: I think 3.5% could be at the high end of growth for 2012. I would expect slightly lower growth this year given that India is delaying its potash purchases until the end of Q112. China is also determining its exact needs, and there are rumors that it may reduce its imports this year versus 2011. Everything tends to depend on price. Canpotex (the marketing company for Saskatchewan potash producers) and its Belarusian counterpart are holding out for higher prices than India and the China currently seems willing to pay. With those delays, demand will probably be slightly below the historical 3.5% growth rate. TER: Potash Corp. (POT:TSX; POT:NYSE) of Canada has shut down two mines in that country, andThe Mosaic Company (MOS:NYSE) says potash buying is slow right now as buyers are taking a wait-and-see approach. What do you make of Potash Corp shutting down those two mines? CD: It is a prudent approach. The company doesn’t want to flood the market with product as it would like to sustain a reasonable potash price that could provide a reasonably profitable return. By shutting down these mines, it’s limiting the output and that should keep the price at a fairly stable level. It’s not a question of shutting down so much capacity that prices are going to spike; it’s simply a way to keep potash prices relatively stable until the moment when a larger buyer comes back into the market, whether it’s India or China. TER: In 2011, potash had the third-largest price increase among the 32 commodities ranked by the Scotiabank Commodity Index and, over the span of 2011, potash rose about 32%. The leading indicator of potash prices is often the price for corn, which is down significantly after some bumper corn crops in Eastern Europe, Russia, and Australia. What do you believe will be the average price per ton (t) for potash in 2012? CD: Potash prices seem to be ranging between $450 and $550/t at the moment, depending on the port of delivery. It will probably stabilize around the $500/t level in the short term. I don’t see any reason for a significant spike in the price at this point. Although the corn price has recently seen a dip, it still remains above its historical average. Moreover, given the fact that the U.S. Department of Agriculture said that its stocks-to-use ratio is still well below the historical average, it would take a significant amount of corn production to reach the normal level of 15–20% in terms of that ratio, and reaching that level of production to meet this ratio could be a real challenge, especially when corn demand continues to grow. Therefore, while corn is slightly down, I don’t think there is going to be a downward trend in the corn price, or a complementary downward trend in potash. TER: You don’t believe that potash will be in the top 10 performing commodities in 2012? CD: I think it will have a fairly average year. I don’t think it will repeat its price performance in 2012 as it had a relatively low price point from which to start in 2011. It will probably stay somewhere in the middle of the park vis-à-vis other commodities. TER: In an interview with The Energy Report in May 2011, Dundee Securities’ senior analyst Richard Kelertas predicted that we would see $750/t potash at some point before May 2013. What’s your perspective? CD: As you said, that was in May 2011. The market looks a little different now than it did then. The fact that India is pushing back on pricing and delaying its purchases and China is reassessing are going to mitigate the potential upside of the potash pricing. Probably $600–650 is a reasonable price going to 2013, but there are a number of different factors that come into play in addition to India and China, whether it is production capacity being added to the market via brownfield or greenfield projects, whether or not there is a recovery in the European market, or whether or not the U.S. recovery continues. The fact that farmers seem to have a lot of money coming out of 2011 could, at worst, bode well for holding a pricing floor on potash at current levels and could potentially even support a higher price. I think that $600–650/t is reasonable. TER: Tell us about your coverage universe and the types of companies you cover. CD: I’m now ramping up coverage in the potash space. My first report was about Passport Potash Inc. (PPI:TSX.V; PPRTF:OTCQX), a name that I’ve followed since early 2011 when I was working in an institutional equity sales capacity at MGI. I really like this story and the fact that it’s in a safe, mining-friendly jurisdiction. An opportunity to build a mine in a potash-rich region—the Holbrook Basin—with only two competitors in the Basin could provide an opportunity for consolidation. It is a story with a great deal of appeal. Generally, I’m looking at small-cap developers and am not restricted to North America. There are developers in Africa and South America that could be appealing in the same way. It will be up to clients to decide whether or not they have the risk tolerance for assets outside North America. TER: Is that typically the type of company that MGI covers even in the other sectors? CD: We tend to cover smaller-cap names. Large-cap names would be a bit more difficult for us to champion in a lot of ways because we wouldn’t necessarily get the mind space from clients for large-cap ideas because clients are well covered by banks and bulge bracket firms that are looking at the Potash Corps of the world, companies like Agrium Inc. (AGU:NYSE; AGU:TSX) and Mosaic. TER: Passport Potash’s share price took a beating in 2011. It’s currently developing the Holbrook Basin potash project in Nevada. Why do you believe that junior is going to rebound this year? CD: Part of Passport’s problem this past year was based on the market itself being quite volatile, especially toward the end of the year. In general, small-cap names tend to suffer the most in those circumstances. But management made a few promises to the market that it was unable to keep and probably didn’t realize the extent to which it would be punished by the market by having missed deadlines. However, I believe that the company is starting to right itself. It is in the process of putting together an NI 43-101-compliant resource estimate, which we expect to be released by the end of Q112. Following that, we should see a preliminary economic assessment or scoping study and, further, a prefeasibility study from Passport in order to show the economic viability of its project. In addition, there was an announcement on January 18th that Passport has brought on a new chairman who has significant operational experience gained during his time with Rio Tinto (RIO:NYSE; RIO:ASX). It also has added Ali Rahimtula, who has experience in India, which is key in this type of business because there is the potential for an offtake agreement with an Indian partner. Passport has acknowledged the fact that it needs more relevant experience on the board, and has clearly begun to address this shortfall. Like most of the names in the junior developer space, there tends to be a rerating—in terms of valuation—of these types of businesses once milestones are met along the road to production. As Passport meets its milestones, the market will likely provide the company with a more positive valuation via a re-rating of its stock. The company’s stock price hit bottom at $0.17 toward the end of last year. Since then, it has been able to at least project to the market that it does have some deadlines, which it intends to meet. Passport has engaged the engineering firm ERCOSPLAN to complete its NI 43-101. ERCOSPLAN has a really good reputation in the marketplace and has done a lot of work for developers in the potash space worldwide. The market now understands that the company is working very hard to meet its current deadline and, once met, Passport will have a potash resource estimate to put to the market. The market at that point will respond favorably, in my opinion. TER: A competitor operating in the same basin that Passport is operating in, the Holbrook Basin, already has an NI 43-101 resource of 125 Mt potassium chloride (KCl). How large do you expect Passport’s resource to be once it’s published? CD: The competitor has about 94,000 acres of land, while Passport has about 81,000 acres. If we were to use a ratio of acres to contained tons of KCl for the competitor and apply it to what Passport has, Passport would probably come in somewhere about 100–101Mt of contained KCl. Remember, this is in no way a forecast that I am making as to the size of Passport’s resource. Even if Passport has something like 80% of that number, I think it’s still a decent-sized resource. In my report, I am forecasting that Passport will produce about 1Mt/year over 40 years. That implies about 40Mt of in situ KCl. If we’re talking somewhere between 80–100Mt of contained KCl, there is significant opportunity for Passport to increase the size of production on an annual basis, or it gives a bit more leeway in terms of what the potential resource size could be, on a contained-ton basis. TER: You have a Speculative Buy on that particular equity. What is your 12-month target? CD: My 12-month target for Passport is $0.75. TER: Another junior in that space, Allana Potash Corp. (AAA:TSX; ALLRF:OTCQX), jumped out of the gate in 2011 and slipped above $2 in June 2011 before spending the rest of the year retreating from that benchmark. It now sits well below $1. Will that junior rebound this year? If so, what are the catalysts that are going to make that happen? CD: I think so. Allana probably jumped up based on speculation more than anything else, but as the actual resource-related numbers come in, then it tends to start trading at some kind of multiple based on its enterprise value (EV), whether it’s EV:resource or EV:ton KCl, et cetera. When the market sees that it’s getting closer and closer to production, that’s when the valuation will start to improve. I think that is something that could happen this year. When one has an asset that doesn’t have any economic information tied to it, it’s very easy to speculate as to what you think the value should be. Obviously, the closer one gets to production, then there are hard and fast numbers that one can start applying some kind of multiple to in order to value a company like Allana Potash. That’s probably why it’s now down below $1. It’s probably more reasonably priced here and as more news comes out that’s favorable to the company, then you should start seeing the stock move back up. TER: What are your thoughts on the Danakil potash project in Ethiopia? CD: The Danakil project is interesting because it’s a near-surface project, which means the capex should be low. I think that it will have a fast track to production, which is another positive. 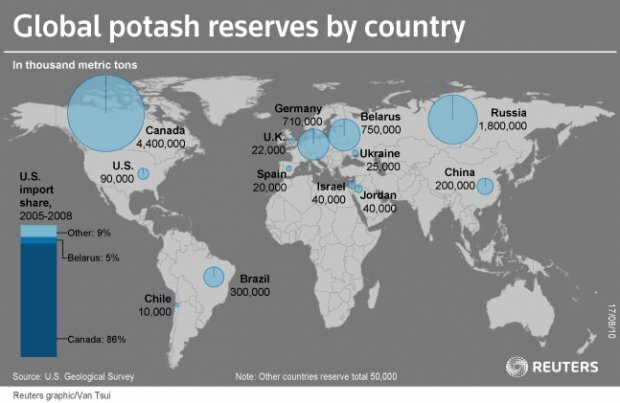 And the fact that it’s probably selling to India, and perhaps China, is another positive because there is a quicker trade route to those countries when compared to North American or South American potash producers. That said, there is no domestic demand for the product in Ethiopia. The companies that I believe have an advantage are those that have domestic demand or significant domestic demand, whether it’s a place like the U.S., which imports most of its potash needs, or South America—Brazil in particular—where 90% of its potash needs are imported. Ethiopia is also landlocked, that is, it has to go through another country in order to reach the port. Moreover, there is a greater possibility of political risk in Africa than in the U.S. or in Brazil. However, if everything remains stable, I think there could be a big opportunity for Allana, especially given its low operational cost base. TER: What are some other small-cap potash plays that you expect will outperform in 2012? CD: Verde Potash (NPK:TSX.V) is planning to produce a unique product called Thermopotash. Thermopotash, derived from the combination of glauconite and limestone, is a slow-release potash product with no chloride, which is great for crops like tobacco, coffee and oranges. In addition, the company is exploring the use of a new technology—the Cambridge process—which could potentially convert Verde’s potassium-rich rock to regular KCl. This would be a massive opportunity in Brazil. In terms of available infrastructure, Brazil falls behind North America but is certainly ahead of Africa. Rio Verde Minerals Development Corp. (RVD:TSX) is another small company operating in Brazil that recently confirmed that it has potash on its property. The stock has moved up a little bit on the back of that news. Once an NI 43-101 resource estimate is released for Rio Verde Potash’s potash asset, we should see another re-rating of the stock. Karnalyte Resources Inc. (KRN:TSX) is another one. Once again, I tend to favor the junior potash developers that have a bit of a unique element or bring something a little bit different to the table. Karnalyte is focusing on extracting potash from the potash-bearing carnallite layer, which is unusual for Saskatchewan because other producers and developers target the sylvinite layer that is usually closest to the surface. Karnalyte’s deposit is based on an anomaly where there is a significant carnallite layer that is relatively near-surface vis-à-vis the sylvinite layer. The technology that it is planning to use also could provide a magnesium byproduct and sodium chloride byproduct, both of which the Company could potentially market and sell in the future. Karnalyte has a number of things going for it; I think management is very strong. The fact that it has four patents pending for its technology could mean that what it ends up with is going to be very unique. It has a massive land holding and has only conducted advanced exploration on 20% of it. Fnially, it plans to expand its plant by using cash flow generated from its initial buildout. TER: It has done a nice job of managing its share flow, too, with only about 21M shares outstanding vs. something far greater for a company like Allana. TER: Or do you prefer a larger share count, such as Allana, with its 193M shares verus 20M for Karnalyte? CD: When you’re in the small-cap space—and especially if your float is small—it becomes a bit riskier for clients to hold when the markets are a bit more volatile. It’s one thing to get into a stock, but when the market is volatile and a client is looking to exit a position, it’s very difficult to do if the trade volumes aren’t there. That’s the risk with Karnalyte. The average trade volume is 34,000 shares a day. So if you have a position that’s 100,000 shares, it’s going to take you roughly three days to get out of that position, and that assumes that you can be 100% of the trading volume over those days. And you could end up driving its price down significantly while you’re trying to exit your position. Having a more liquid position in a stock like Allana that you can get in and out of a lot more easily would likely appeal to portfolio managers. TER: Could you give our readers an outline of what to look for in the small-cap potash space over the next year or so? CD: You’ll see a number of companies starting to reach the prefeasibility and feasibility stages. At that point, these companies will start to look for strategic partners, whether it’s to fund the buildout of the products or secure an offtake agreement for the product that’s going to be produced a few years out. At that point, we’ll start to see which projects are going to be viewed as more viable. There probably won’t be enough demand to drive a need for every single junior potash developer that is currently out there to actually move into production. That said, there is also the possibility that some of these companies will be absorbed by larger entities that are looking to enter the potash space given the future, positive fundamentals for potash or those that are currently in the market and are looking to increase potential capacity moving forward. I expect to see a lot of positive news coming out of the junior potash space, especially as a few of these companies meet milestones in order to get a little bit closer to production and production becomes more of a reality. Corey Dias has worked in the capital markets industry since 2003 and has spent eight years in institutional equity research and institutional equity sales. 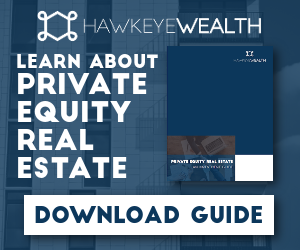 In addition, he has worked for a U.S. hedge fund, where he shared responsibility for the running of a $400M portfolio and sought out assets for private equity investment on behalf of the fund. Mr. Dias holds a Master of Business Administration from the Richard Ivey School of Business at the University of Western Ontario.